Come and adventure around Bright, in the beautiful Ovens River valley. 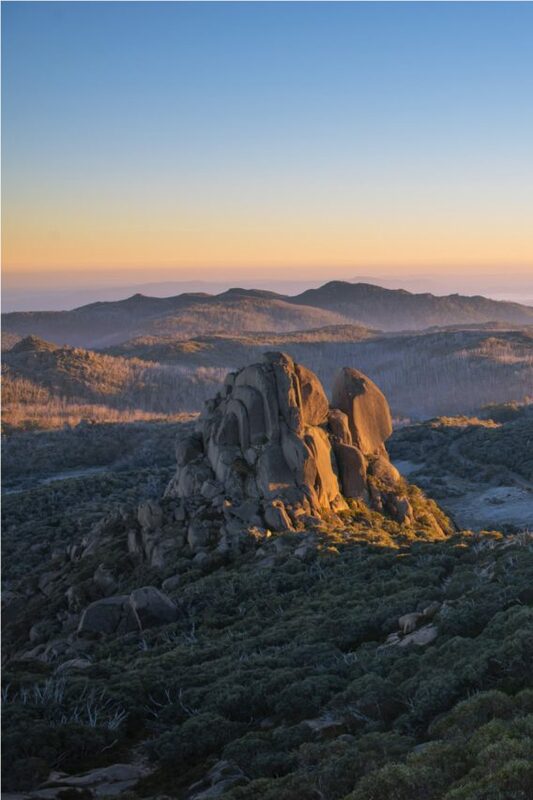 Situated less than four hours drive north from Melbourne, Bright is the perfect location for an adventurous weekend getaway or family holiday destination. Over a few hours you’ll walk, squeeze through chimneys, scramble under, over and around boulders, climb some rope ladders and finally scramble right to the highest point on the Cathedral. After taking in some amazing views that not many people get to appreciate we have an easy abseil right back to the ground. This isn’t a rock climbing tour, or an abseiling tour, though it includes a bit of both. You'll enjoy the tour most if you're reasonably fit and active. No previous climbing or abseiling experience is required but you should be ready to get up high on top of some cliffs! Personal climbing/abseil safety equipment if you would like to use it. Not essential, and needs to be inspected by your guide before use. Meet your BAC guide at the Cathedral Carpark, Mount Buffalo.